Today’s Sketch Challenge (SC586) has sort of a grid layout. I thought this paint chip down the side was a good representation of the divided side panels. 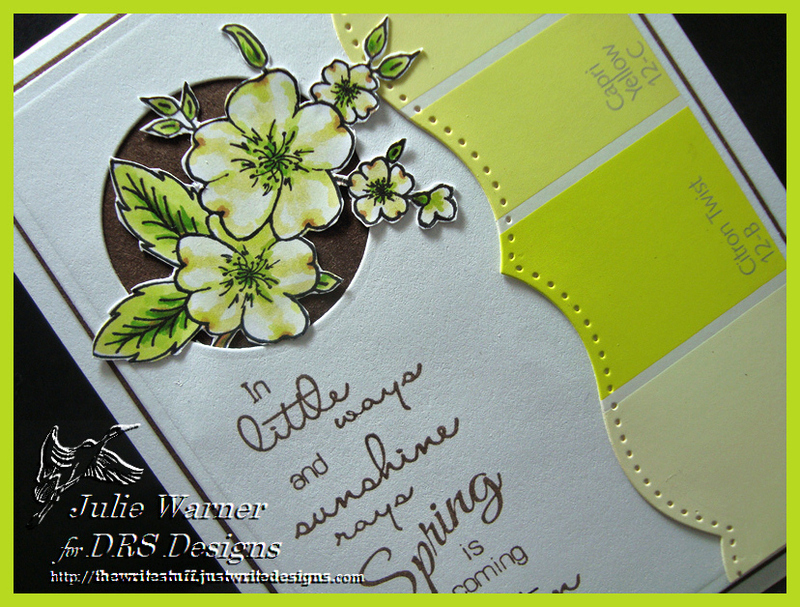 This is a very quick card…I already had the white panel that the circle cut out of it so I stamped, colored & fussy cut the dogwoods to add in the opening. It’s backed w/ a chocolate panel that all I had to do was trim the length. 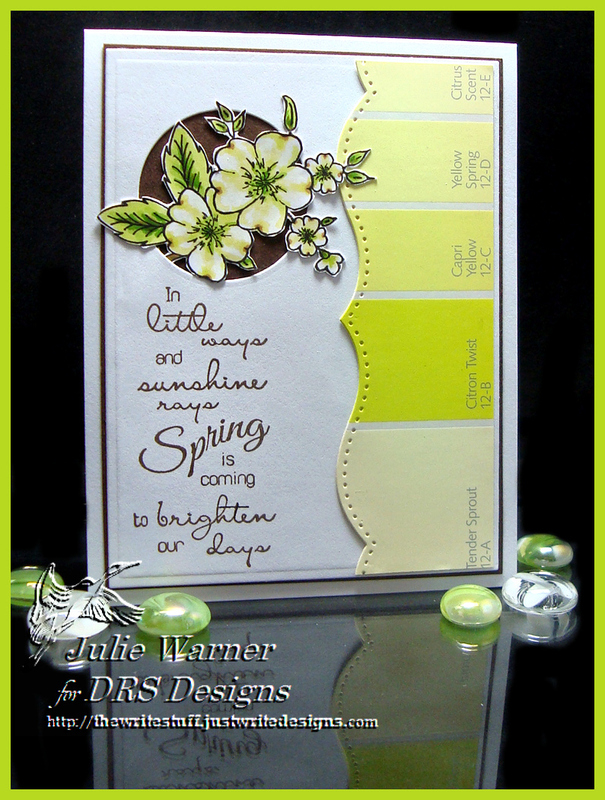 The greeting was added in Versafine sepia ink & I used a bracket border die for the paint chip. Today’s CAS Challenge (CAS370) is Going in Circles. 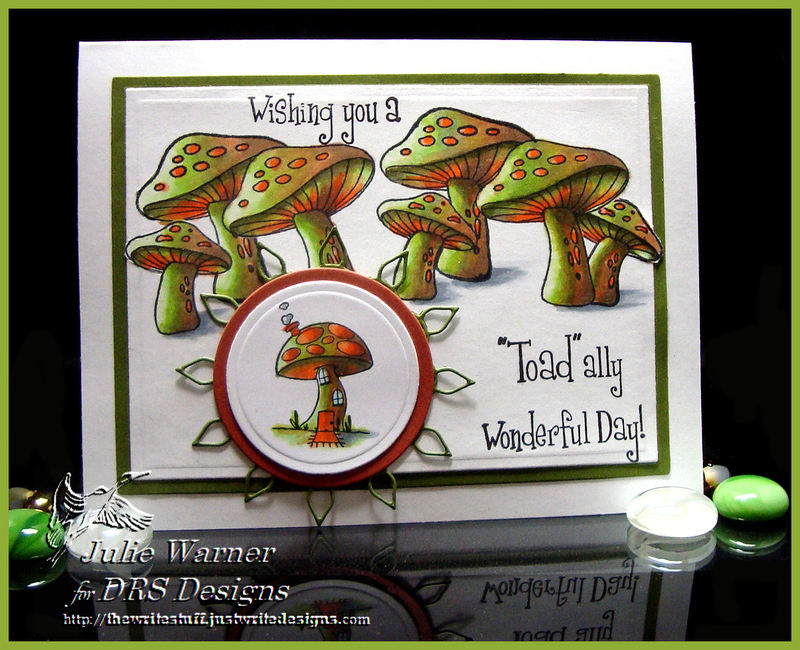 Plenty of circles on these cute toadstools & I added a circle element on top w/ the toadstool house image. 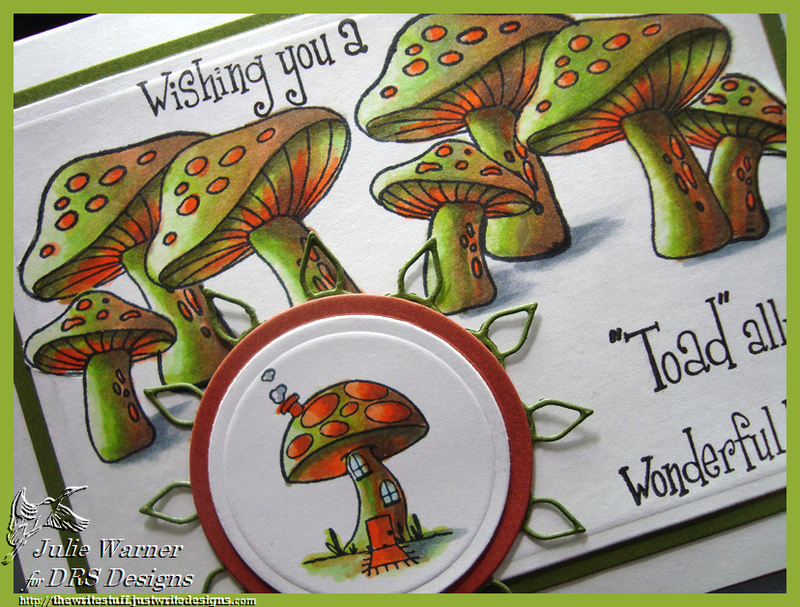 I just love coloring these toadstools! I stamped them across the front of my panel, colored them then die cut. The greeting was split so it would better fit on the panel & I added the die cut circle element w/ a die cut flowery petal thingy behind it. Basically just coloring…nothing fancy. 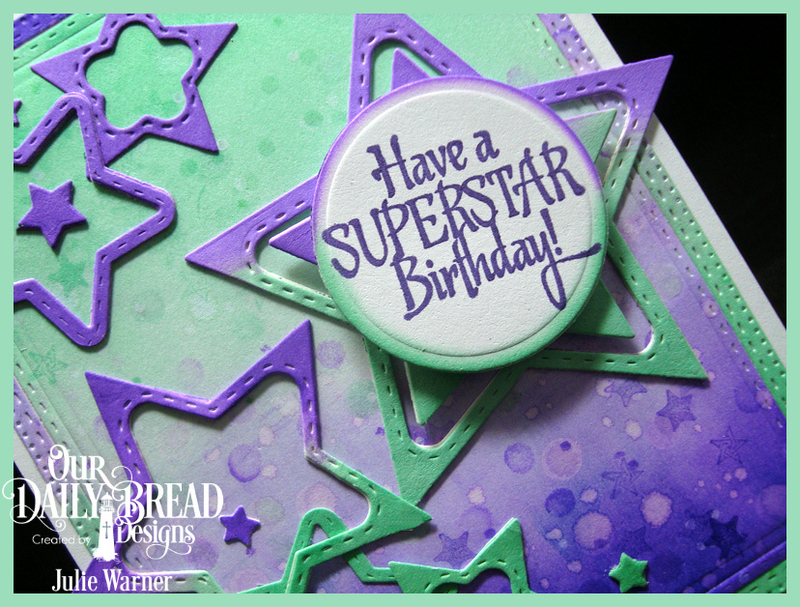 And a big congrats to Jenn, the newest Featured Stamper (FS477) on Splitcoast! 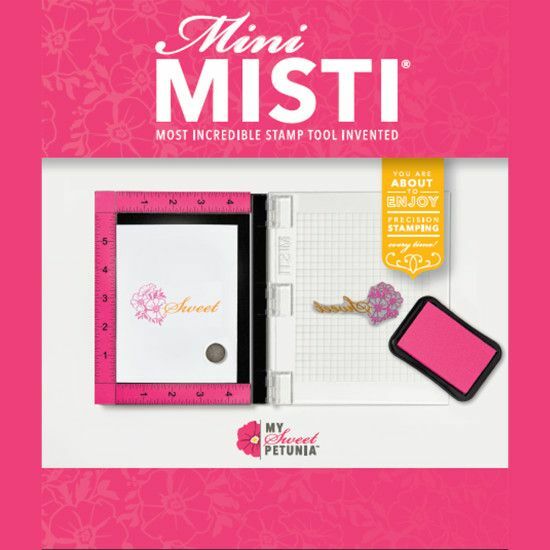 She has such a wonderful, colorful gallery & I chose THIS card to case. I really liked the color combo so I kept that (though mine ended up more purple than violet, lol), but I changed the snowflakes into stars & made my own background since I couldn’t find the dp she used. To make my background, I sponged the violet ink from the bottom up & the pistachio ink from the top down onto a piece of white card stock. Water drops from a water brush were splattered across the panel to make pale circles. 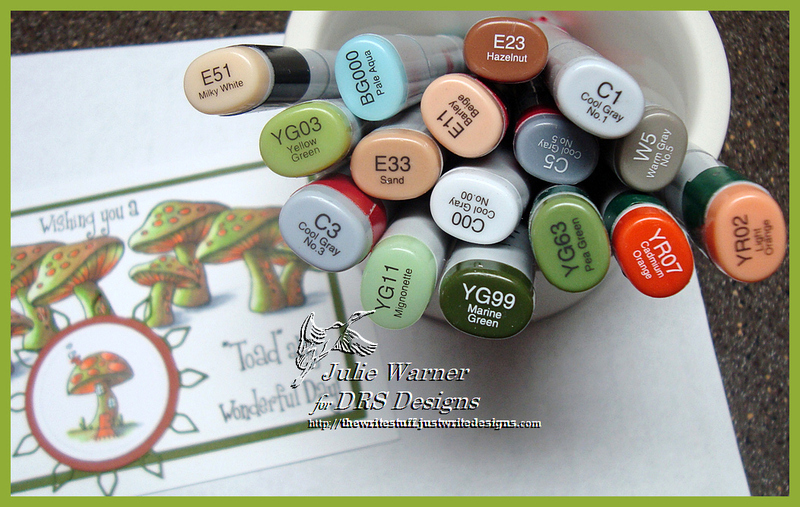 Then I used a dot stencil and a white marker to add whiter dots & I also used a dry marker I touched to the surface of the 2 ink pads to make darker small dots. 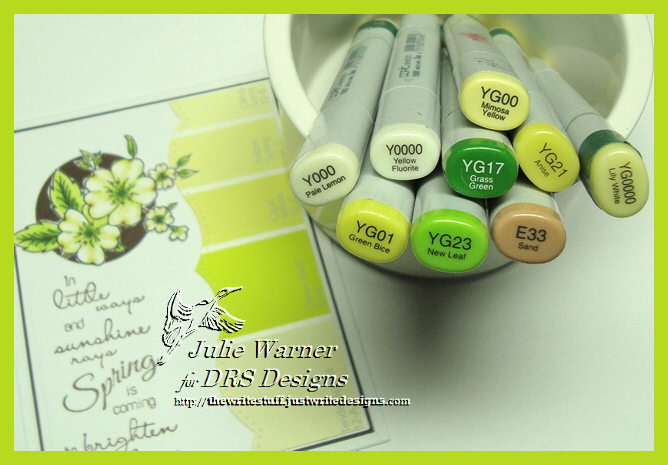 For the bigger dots I used a pencil eraser touched to the ink pads & also a white pigment ink pad. 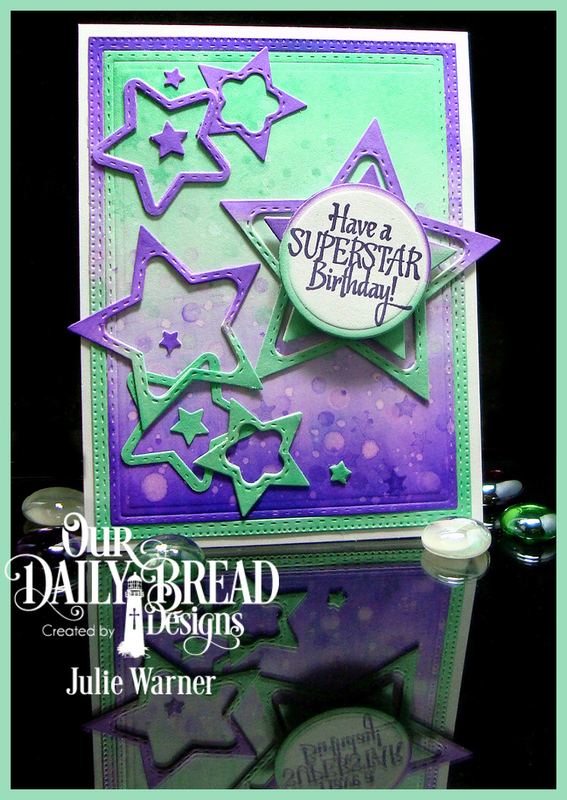 I also used the tiny star image stamped here & there w/ the violet & pistachio inks. The finished bg was die cut twice & I turned the larger, outer layer around & put it back around the main panel. 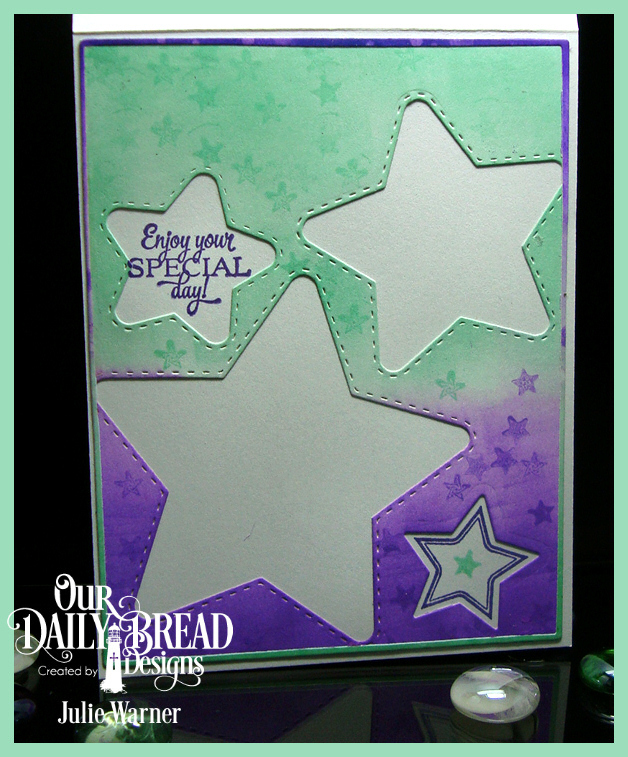 Then I added all the die cut & sponged star frames. 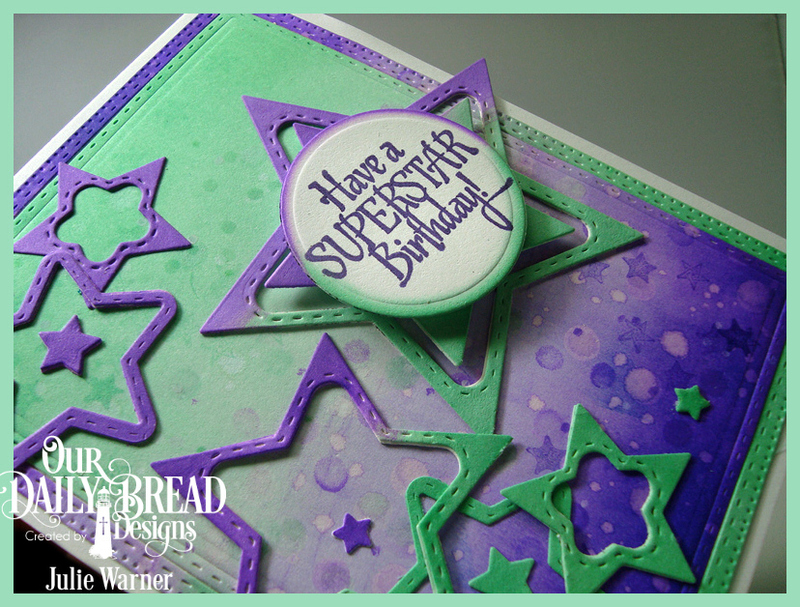 The greeting was stamped w/ the Versafine purple ink, die cut & the edges sponged. Here’s a look at the inside. I used the panel I cut the star frames from, sponged it as I did the front.